Christian Sands is an emerging jazz force. He takes a fresh look at the entire language of jazz: stride, swing, bebop, progressive, fusion, Brazilian and Afro-Cuban. 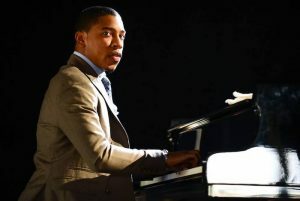 See Christian Sands Trio at Jazz Forum on Feb. 2 & 3 at 7 & 9 pm both nights!